Superman has never been my favorite super hero. In fact, he’s pretty far from it. I always found that his near indestructibility and countless super powers made things a bit too easy, and I was never too fond of Clark Kent as a character either. That being said, when the trailers for Zach Snyder’s Man of Steel began coming out, I began thinking that this incarnation of DC Comic’s most prized creation may not be too shabby. 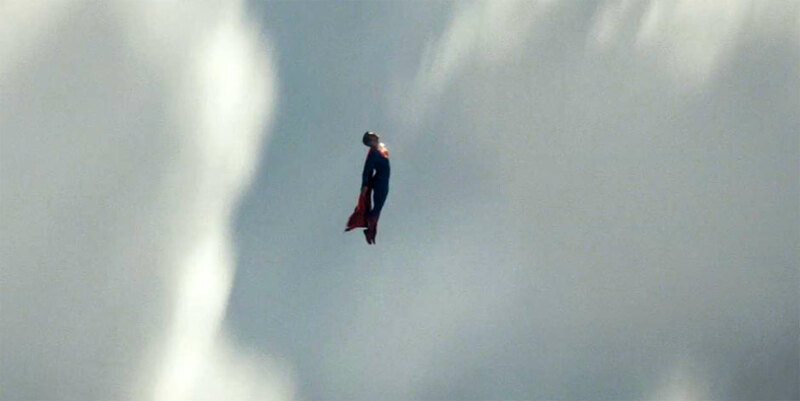 I can’t say that I was at all disappointed, but Man of Steel is certainly not a perfect movie. The distant planet of Krypton is close to destruction due to the large amount of exploiting the natural resources of the planet which has affected the planet’s core. 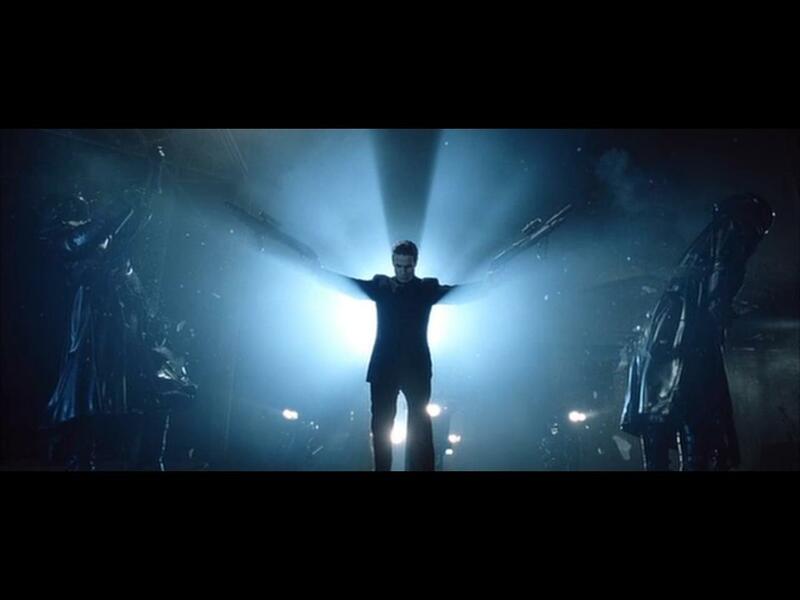 Jor-El (Russell Crowe) stores a genetic codex in the cells of his newborn son Kal-El and sends him to planet Earth after General Zod (Michael Shannon) stages a coup with the hope of saving the planet. 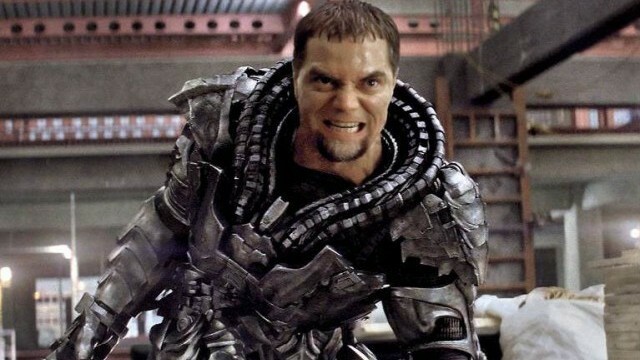 Zod is banished to the Phantom Zone, but is freed after Krypton is destroyed. On Earth, Kal-El is found by farmers Jonathan (Kevin Costner) and Martha Kent (Diane Lane), who rename him Clark and raise him as their own son. 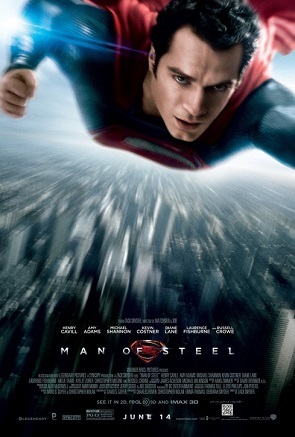 After years of learning to control his super abilities caused by his biological reaction to being on Earth, an adult Clark (Henry Cavill) learns of his extraterrestrial past and vows to protect the Earth. This responsibility comes sooner rather than later when Zod arrives to retrieve the codex hidden within Clark and form a new Krypton so his race can survive. There is a lot that happens within the two hour and twenty minute running time of the movie. Much like with Snyder’s previous film, 300, the pacing of this movie is what really hurts it. In this reviewer’s opinion, we spend way too much time on Krypton. By the time we got to Earth, I felt relieved since I felt like the “prologue” was finally over. As Clark grows up and learns of his powers and his past, most of the story is told in flashbacks, which is very jarring when mixed with the adult Clark trying to find his way. This really is the only effective way that this could have been pulled off, but there is just so much crammed in there. That being said, this is an origin story, and origin stories aren’t always the easiest to make because it’s the responsibility of the writer and director to establish this character’s past enough so that we understand them and beliefs. Henry Cavill was definitely the right choice to play Superman, but I still can’t really say his character is all that interesting. I may be biased in saying that because I always thought he was kind of a bland character. Amy Adams is acceptable as Lois Lane, bringing an appropriate amount of curiosity and interest. The real scene stealers are Michael Shannon and Russell Crowe. These two seem so into their characters and the universe that they inhabit that it really is just a joy to watch them, especially when Michael Shannon would lose his temper and yell a lot. That was fun. I have never really been a fan of Superman. The whole concept behind the hero always seemed kind of cheesy. After seeing Man of Steel, I’m beginning to realize that part of the reason has been the presentation. This most recent incarnation of Superman offers outstanding action, the deepest the characters have ever been, and a good origin story. The pacing is kind disjointed and the movie is overly long, but saying that I didn’t have a really good time at Man of Steel would be a downright lie. Cinephile or not, it is probably correct of me to assume that most people have heard of George Lucas. He is responsible for creating one of the most fantastic and immersive fictional universes to grace any medium ever. Of course, I’m talking about his Star Wars films, which he didn’t always direct, but is completely responsible for. There was a pre-Star Wars Lucas believe it or not. One of his films is American Graffiti, a look into youth culture of the 1970s. The film I want to discuss is the science fiction film that started it all: THX 1138. Far off into the future, human beings are kept under control by a large amount of sedatives that block any sort of emotion or opinion, with love being the ultimate crime. THX 1138 (Robert Duvall) is just another mindless cog in the machine until his room mate LUH 3417 (Maggie McOmie) stops taking her sedatives and tricks THX into stopping his sedation. As THX begins to think for himself and even fall in love with LUH, the government quickly catches on starting a labyrinthine game of cat and mouse through the darkest recesses of this future dystopia. Does this movie sound familiar to the people who follow this blog? I’d say the reason it might is that the plot sounds very similar to Equilibrium. While the plot may be similar in more ways than one, THX 1138 is executed in a completely different way. The best way I can describe this film is by calling it a new wave science fiction film. 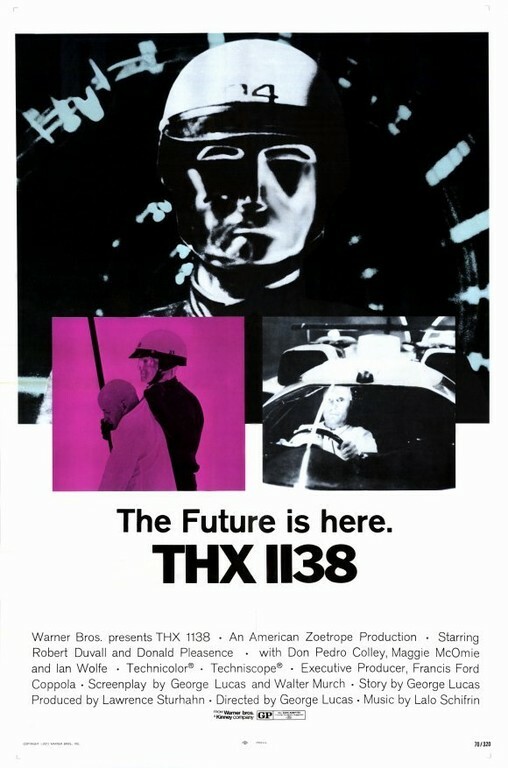 THX 1138 was released in 1971 when the New Wave “style” finally made its way to American with the likes of The Graduate, so this film can definitely seen as taking a style that has travelled from Europe, Asia, and finally America and making it into something that wasn’t really seen before. 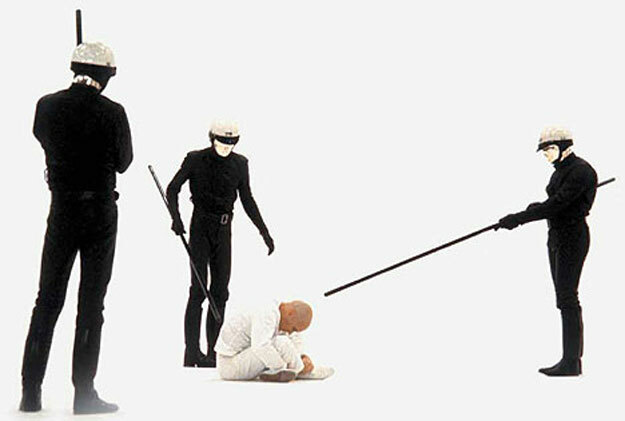 The minimal set design and constant wandering of the characters with out a completely defined goal are characteristics that are seen in many New Wave movies that came before THX 1138. This is a very different movie, especially from what you may have come to expect from George Lucas. This is in no way extravagant. The copy that I watched did have some computer generated enhancements that both helped some scenes and made others look ridiculous, but for the most part, the set design is pretty dry. I mean that in the best way possible, however. The coolest part of the movie takes place in a white room that seems to go on for all eternity. This perfectly describes the hopelessness and emptiness of a society without free thought. It’s a void of emotion and opinion where only those brave enough to dare to think for themselves are kept. It’s visually memorable and psychologically haunting. The minimalism of THX 1138 is where it really succeeds as dystopian science fiction. I’m, personally, a huge fan of the genre and seeing a film, such as this, succeed in such a remarkable way is refreshing. This was before Lucas became so obsessed with creating outstanding blockbusters that mainly were used as money grabs. I’m in no way bashing the original Star Wars trilogy. They were outstanding homages to multiple genres and had outstanding characters and plot development, but then Jar Jar… No. THX 1138 is not flashy nor is it overt in its themes. Prepare to ponder this film long after it ends. THX 1138 is a intellectually stimulating and visually remarkable example of science fiction film making. The plot takes its time and the setting is sure to make you uncomfortable and have you longing to return to your own comfortable paradise called your living room. I can say that this movie isn’t for everyone and the pace will surely throw some people off. To those who don’t mind a plot that moves deliberately slow and enjoy a film that is minimalistic in its style, than I’d highly suggest THX 1138. If you were to put George Orwell’s 1984, The Matrix, and Minority Report sprinkled with a hint of Gattaca, your end product would look something like Equilibrium. Kurt Wimmer’s dystopian science fiction movie is definitely a mash up of other science fiction and that leaves a question to be answered: Is Equilibrium an homage to classic science fiction, or is blatantly ripping others off. Either way you look at it, there is a lot of fun to be had with this movie, even though I can’t see it being put on anyone’s list of best science fiction films of all time. John Preston (Christian Bale) is a Grammaton Cleric, whose main job is to find and exterminate “sense offenders.” What is a sense offender? Well, after World War III, a new drug called Prozium was created which blocks any sort of emotion, and soon became mandatory. Sense offenders are the few that decide it is not the right way to live. One day, Preston accidentally breaks the vial holding his Prozium and begins to feel emotion. An even bigger problem is that he really enjoys it. An even worse problem is that he is the most revered Grammaton Cleric. He immediately begins questioning his government and his own role in rounding up people who desire a life full of emotion, which sturs up suspicion with his partner Brandt (Taye Diggs). The first thing that I need to talk about is the outstanding style that Wimmer has packed Equilibrium with. The cinematography by Academy Award winner Dion Bebee is out of this world. The future is dark and ominous with splashes of hard light that makes for awesome looking action scenes. And speaking of action, Wimmer created a style of gunfighting/martial arts called Gun Kata, which is reminiscent to the style of fighting seen in The Matrix, but with its own original twist to it. The scenes featuring Gun Kata are absolutely awesome and memorably shot. Style aside, the story of Equilibrium really isn’t anything spectacular. Like I said before, it is very reminiscent of an Orwellian future that has been seen countless times. The inability to feel and lack of human emotion is a favorite for dystopian science fiction authors and film makers, although it isn’t quite as overt as it is in Equilibrium. Looking at this movie as an homage to older science fiction, it certainly does its job well. If you were to look at it as a lazy piece of writing, than it’s pretty glaring. This forces the viewer to take it as they will, and this will highly affect your opinion on the movie. Personally, I feel like there’s too much creativity in other parts of the movie to make it lazy enough to be a rip off. Unfortunately, this movie does suffer from style over substance. Many people heavily compare this movie to The Matrix, which is rightfully so. From the clothes to the Gun Kata, there are certain similarities, but The Matrix doesn’t suffer from style over substance. Part of what makes The Matrix such a classic is the Wachowski’s abilities to make it heavily stylized but deep in every other possible way. 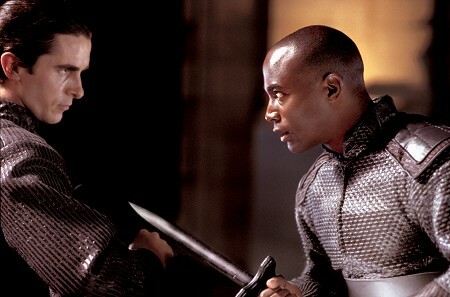 Equilibrium looks nice, but it doesn;t really make the viewer think too hard, which is important for science fiction. 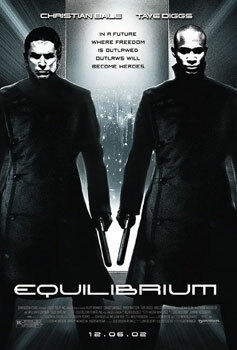 Taking two hours out of your day to watch Equilibrium is something that I would recommend. It isn’t going to be a classic science fiction film, nor is it a thought provoking trip into a possible future, but it does promise a lot of fun. The action is top notch and the movie itself is gorgeous to look at. Give it a watch before you judge it. It’s pretty fun. 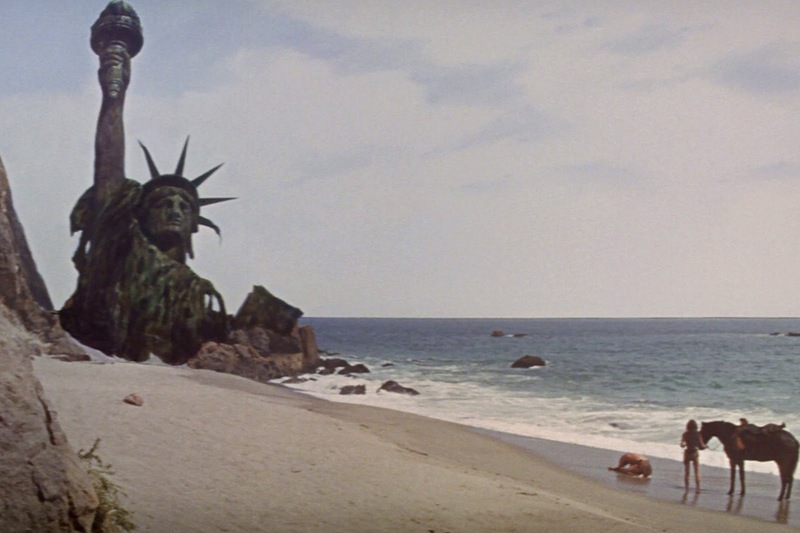 Now that the original Planet of the Apes series has been covered, we no longer find ourselves in the 1960s nor the 1970s. There were, however, a few television adaptations that branch out of the films. One is simply titled Planet of the Apes from 1974, which tells the story of two astronauts who go through a time vortex and find themselves in the same situation that Heston’s character did in the first movie. The show only lasted half a season. Amongst a slew of comic books and audio stories revolving around the universe of the films, another television show was made, Return to the Planet of the Apes, an animated series that only ran 13 episodes. Flash forward to 2001. 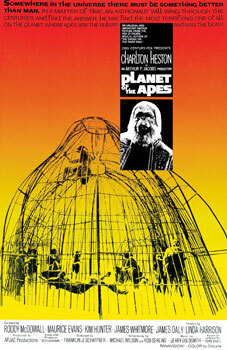 The Planet of the Apes saga was still considered as a cult science fiction touchstone. Of course, when there is something this popular, Hollywood demands a remake. That is just what happened. With Tim Burton in the director’s chair the remake of Planet of the Apes was released. Leo Davidson (Mark Wahlberg) is an Air Force piolet on the space station Oberon, but spends most of his time training a chimpanzee named Pericles how to operate a space pod should the use for him come up. During a bizarre electrical storm, Pericles goes missing while in a pod trying to investigate for the Oberon. Leo secretly gets in a pod and ejects it, but soon gets warped through time and space, crash landing on the planet Ashlar in 5021. On this planet, humans are subservient to a race of apes. Leo is captured, but soon escapes with fellow human Daena (Estella Warren) and two apes, Ari (Helena Bonham Carter) and General Krull (Cary-Hiroyuki Tagawa). As this band of humans and apes try to find the coordinates of a possible rescue mission for Leo, General Thade (Tim Roth), a power hungry and malicious ape, is leading an army to come and find the them to not only put a stop to their rebellion, but their entire lives. Right off the bat, this film feels very different from the original Planet of the Apes. First of all, we see Wahlberg’s character working on the space station before he travels through time and space. Another major difference is that the planet he lands on isn’t a futuristic Earth, but an entirely different planet. And the end…well, let’s not really talk about that too much. Let’s just say it’s one of the most preposterous, downright confusing endings I have ever seen. It doesn’t leave you thinking about yourselves or society, it just leaves you thinking about how an ending could be so stupid. Visually, this movie is a big improvement from the original. The ape costumes look absolutely fantastic. In fact, they were my favorite part of the movie. I couldn’t see Tim Roth anywhere in his Thade make up. In that same respect, the acting is very good as well. Tim Roth leads the way with Helena Bonham Carter close behind. They both give excellent performances. The same can’t be said for the human characters. 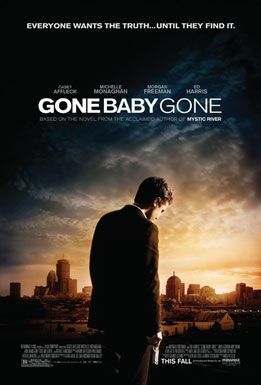 Mark Wahlberg and Estella Warren couldn’t be more dull and Kris Kristofferson’s role is wasted. The sets look okay, but this, like Conquest of the Planet of the Apes, is a very dark movie, and I had a hard time making things out in the ape city. 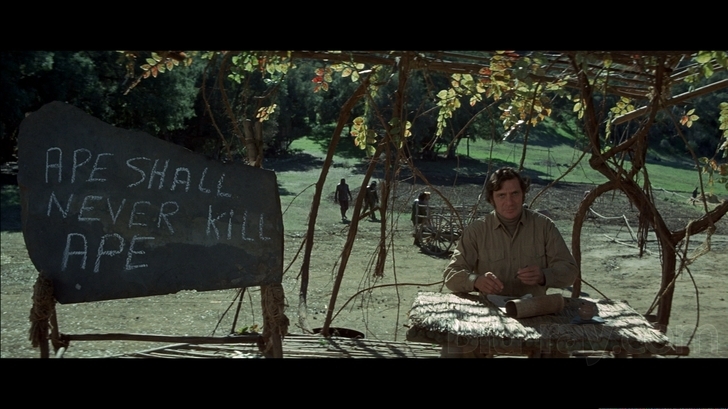 Tim Burton’s Planet of the Apes isn’t really disappointing, but it could have been a hell of a lot better. I have no doubt that you would find this at the bottom of my Tim Burton list. The story is fine, save for the atrocious ending that makes absolutely zero sense. The make up and effects are really great and, for the most part, the acting is fine. A lot of the themes are watered down making this less of a philosophical journey than an eye popping blockbuster. Still, we aren’t done with this franchise. In 2011, a movie came out that kicked some life into this franchise and successfully rebooted the story. Not only is it a good film, nor a great one. It’s an excellent film. I’m talking about Rise of the Planet of the Apes. Will Rodman (James Franco) is a scientist testing a new serum on apes in order to find a cure for Alzheimer’s Disease, with the motivation of curing his father, Charles (John Lithgow). After a problem with an ape that was highly experimented on, Will brings home her baby and names his Caesar. Caesar shows phenomenal mental growth and is kept around the house and brought up by Will and his father. 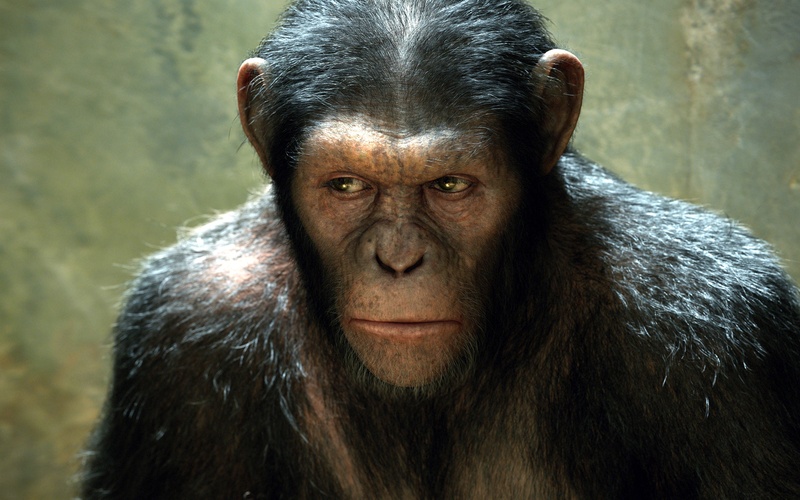 By the time Caesar is an adult (now with a motion capture performance by Andy Serkis) he is showing signs of understanding and personal confusion. After a violent outburst he is brought to a primate shelter where he experiences abuse and witnesses the other apes getting abused. This forces Caesar to rise up and take command of the apes and lead them to their freedom, but humanity is not so eager to see this happen. This movie is a strange hybrid of campy and masterful. The story is obviously pretty over the top. 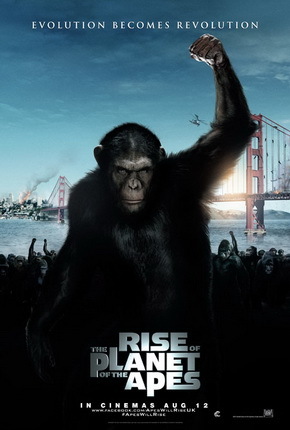 A highly intelligent ape leading a revolution against the humans? Yeah sure. I’ve already mentioned this movie in this review but Rise of the Planet of the Apes is very similar, story wise, to Conquest of the Planet of the Apes. This time, the story is more intense and so is the actual revolution. The last half hour of this movie is absolutely unbelievable, but the entire film itself is thought provoking and much needed return to thematic form for this series. What really made this movie for me is Andy Serkis’ performance. The people who vote on awards or cast the ballots need to begin recognizing motion capture performances as genuine acting. 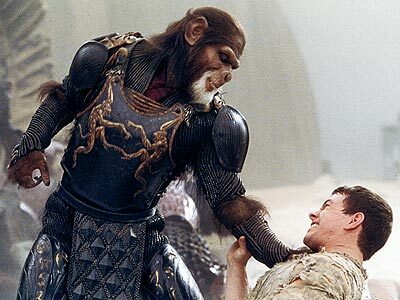 Serkis’ facial expressions, body movement, and voice work really bring Caesar to life in a way that no other Planet of the Apes movie ever could. Even though Caesar mostly just uses his face and body to communicate, he becomes the most loved character in the movie. That’s saying something. The human characters are definitely more interesting this time around, although they still can’t compare to the apes. Rise of the Planet of the Apes is just what this franchise needed. Not only did it reboot the series, it successfully did so in a rare way. In 2014, the sequel Dawn of the Planet of the Apes will be released, and hopefully it can maintain the same greatness as this film. The acting, the effects, and the themes are back and better than ever making this one the best the entire franchise has to offer. It was really great finally getting to see this series in its entirety. Not all of the entries were very good, but they have held a cult status ever since their release. They are an excellent example of dystopian science fiction, and take place in a universe that is intriguing and cautionary. Even though there are still people who haven’t seen the movies, they are still well aware of the Planet of the Apes. The Planet of the Apes franchise is truly a wonder to behold. Starting as a novel written by the French author Pierre Boulle, it was adapted five years later as a film in 1968 starring Charlton Heston. Within the next five years, four more sequels would be made to build upon the philosophy and the mythology that was started in the first film. The franchise doesn’t end here, however. 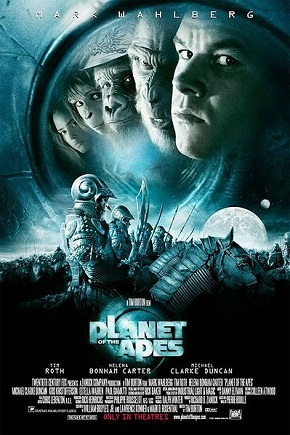 In 2001, Tim Burton remade the original film and most recently in 2011, Rise of the Planet of the Apes showed a brilliant return to the series and acted as a reboot that changes the original format in a very interesting way. This will be part 1 of a two part review. In part 1, I will go through the original series from 1968 to 1973. Part 2 will highlight Tim Burton’s remake, Rise of the Planet of the Apes, and what the future may hold for this franchise. For the sake of covering all of the movies in the original series in one blog post, I’m only going to give a very skeletal outline for every movie. In 1968, Planet of the Apes told the story of a group of astronauts led by Taylor (Charlton Heston) who crash land on a mysterious planet that seems uninhabited at first. As they astronauts travel further and further, they come across humans who seem very primitive and unable to speak. More importantly, they find that the humans are subservient to a race of talking, civilized apes who use the humans as slaves and for experiments. They are shocked to find Taylor who defends himself and humanity with his ability to speak and understand the apes. 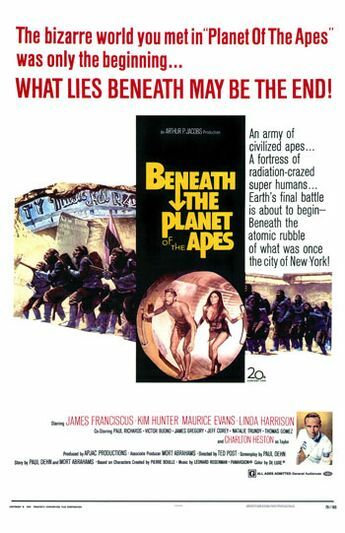 In 1970, the sequel Beneath the Planet of the Apes continued the story. Taylor now knows that the planet is a post apocalyptic earth and that humans completely ruined the world for themselves. A new astronaut, Brent (James Fransiscus), is sent to find Taylor and lands on the planet. What Brent finds is the Ape City but also an underground civilization of mutant telepathic humans who know that the time for battle against the apes is close at hand. In 1971, Escape from the Planet of the Apes told the story of Zira (Kim Hunter) and Cornelius (Roddy Mcdowall), who in the same manner of time travel as Taylor in the first film, finds themselves in the 1970s. They are at first welcomed, but soon paranoia begins to grow around their existence and what they say the future holds. 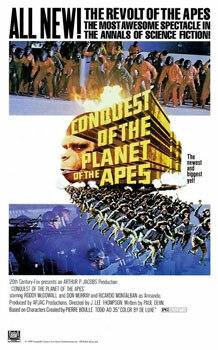 1972 brought about Conquest of the Planet of the Apes. This film is the story of how the apes realized that their subservient nature to the humans didn’t have to happen. Cornelius’ and Zira’s son, Caesar (also played by Roddy Mcdowall), teaches the other apes through his higher intelligence and ability to speak to revolt against their masters and begin thinking for themselves. 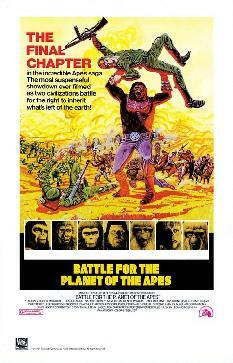 Finally, the series ends in 1973 with Battle for the Planet of the Apes. Caesar is in charge of both humans and apes, but when a hidden group of humans radiated by nuclear fallout threaten the apes, gorilla general Aldo (Claude Akins) plans a revolution of his own. This makes the defense of the new ape city more complicated than it needs to be. Trying to cover the entire series in two paragraphs isn’t really giving the movies too much justice. Despite being called a “B-movie franchise” by many people, it still offers plenty of things to think about. The first film is an excellent piece of science fiction film making, which means it offers a grand warning. Taylor condemns all of mankind when he stumbles on the remains of the Statue of Liberty, and even makes mention of our violent nature in the beginning monologue. This, in and of itself, should serve as a clue of what’s to come. Science and religion are both contrasted in this movie, and even though it seems that science is favored throughout most of the movie, the end reveals that it carries the same weight of human error and evil that religion carries. In doing this, the film is stating that science and religion aren’t to blame. We are. 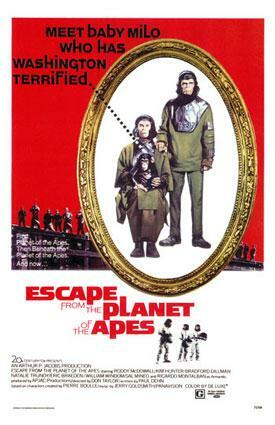 Beneath the Planet of the Apes and Escape from the Planet of the Apes deal a lot with paranoia. In reality, Beneath should have been the one and only sequel, although Escape is very entertaining. Anyway, back to the paranoia. A main plot element in these two films is the destruction of earth by a huge doomsday missile. Why is this such an important plot point? Think of the time that these were made: 1970 and 1971. The Cold War is in full swing, and with that is enough suspicion and fear to practically crumble an empire. In my opinion, these are the last films in this series that truly succeed in what they are trying to say, despite the budget being cut in half after the first film. Conquest and Battle are when things start to get iffy. The thematic elements are still there, this time with slavery, acceptance, and the chance of corporate dictatorship and governmental problems, a la 1984. These are all well and good, and Roddy Mcdowall does very well as an actor, as he has in all of the films he’s been in in this series. The problem lies in how cheap everything appears to have become. Conquest is really dark looking, and there were times where I was struggling to see what was actually going on. Battle looks a lot better, but by this point, I was more than ready for the series to be over. There was some weird editing and continuity problems in this movie that were glaring, but definitely something I could forgive. The real problem is that this series went on for way too long. Five movies? We really didn’t need that many. Two would have sufficed, although the third is entertaining enough. I don’t have too much to say about the last two other than they seemed thrown together and haphazard. I could talk about the first three until tomorrow morning, but I feel like this has gone on for long enough. All five movies are on the right track with their dystopian warnings, and I feel like that, the cool make up, and Roddy McDowall are the reasons to watch this series. You have to really be in to sci-fi to really appreciate these movies, but if you love dystopian literature, cool make up, and over the top performances, then this is a cool and ground breaking series. For the history of the movies alone in relation to film history as a broad topic, these movies should be checked out. This concludes Part 1. As I said before, Part 2 will cover Tim Burton’s remake of Planet of the Apes, the newest film Rise of the Planet of the Apes, and what to expect in the future for these movies.